On Venice Beach. Photo by Jan Willem van Wessel / Flickr. Walking into this book store in the historic Helms Bakery is like walking into a beautiful museum. Specializing in unique and out-of-print volumes on 20th-century art, architecture, and design, Arcana's shelves are packed with beautiful gems and rare finds. The vast collection is highly curated, from performance art to skate culture. 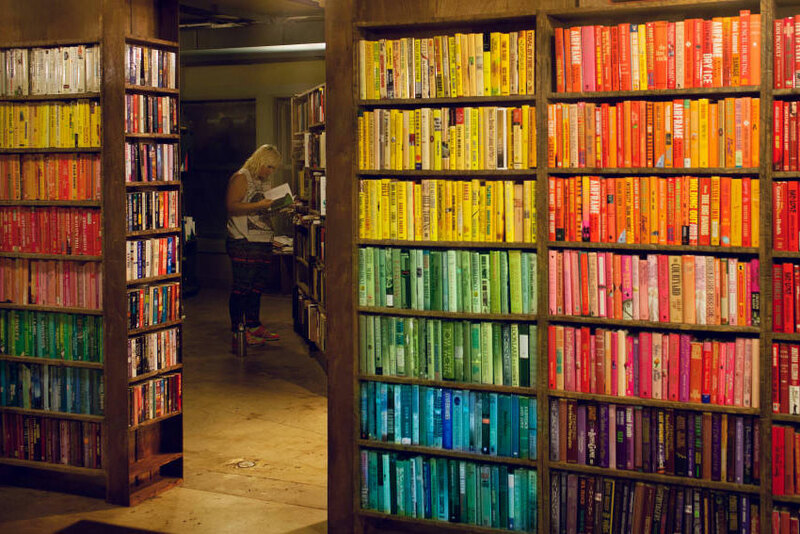 Readers and writers alike come here for the nuances found only in obscure art and coffee table books. 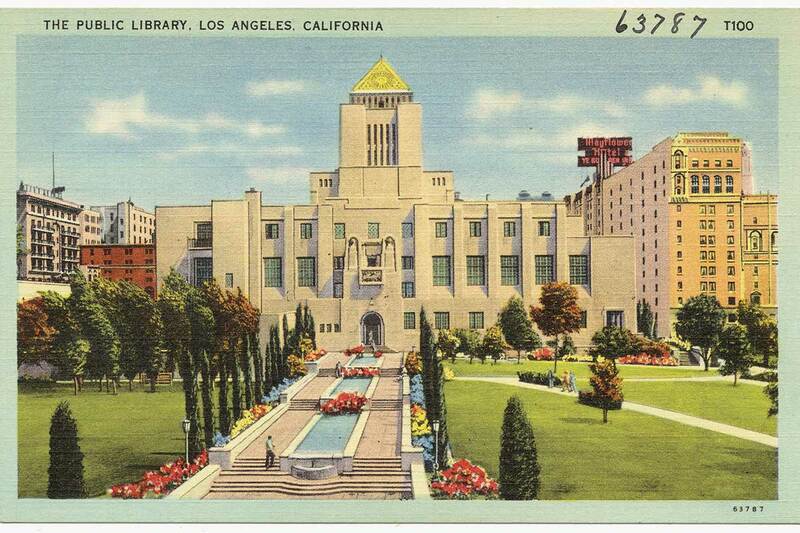 The Los Angeles Public library circa 1945. Photo by Boston Public Library / Flickr. This beautiful building looks more like a church or a mosque than a library. 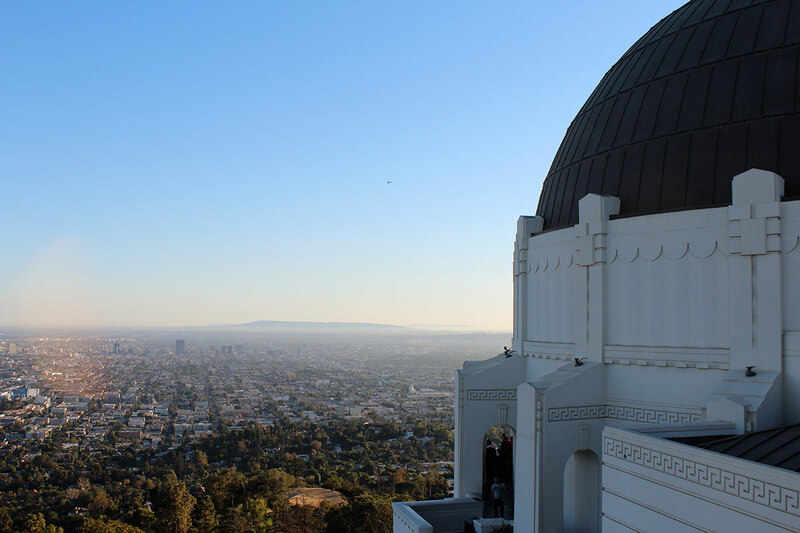 A Los Angeles landmark, its mosaic roof houses murals and sculptures from the 1920s as well as modern art. Charles Bukowski spent many days reading here when he was broke (and therefore sober). This is also where he discovered John Fante's Ask The Dust, an Angeleno tale, and his telling of the discovery is now the introduction to the book: "I had a library card. I checked the book out, took it to my room, climbed into my bed and read it, and I knew long before I had finished that here was a man who had evolved a distinct way of writing." The Los Angeles Public Library has given many aspiring writers a home. Walk up the majestic steps and choose any nook or seat and get lost in a story. Insider tip: Check out the Library Foundation of Los Angeles' ALOUD program online. The library theater has unique author readings and discussions that are usually free to the public. When you've got it, flaunt it. Los Angeles has sunny weather and long stretches of soft white sand. 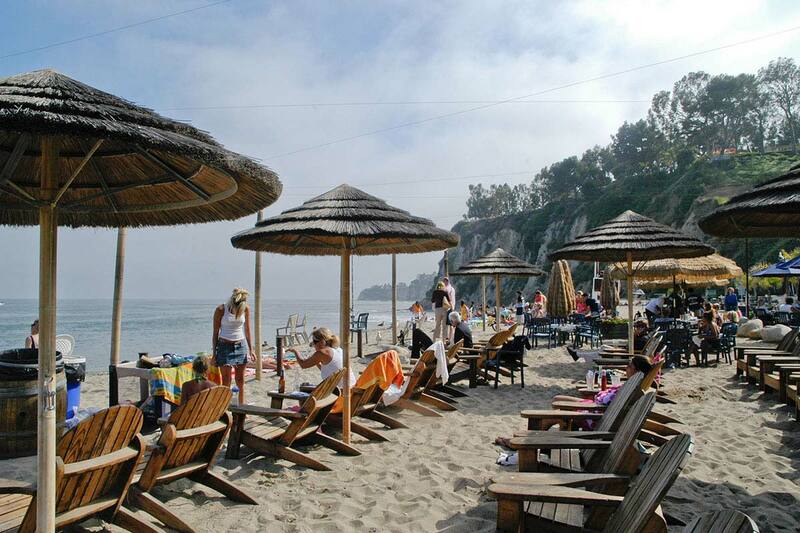 Grab a beach chair, a towel, a picnic lunch from Joan's on Third (8350 W. 3rd St.; +1-323-655-2285) and head to Paradise Cove in Malibu. 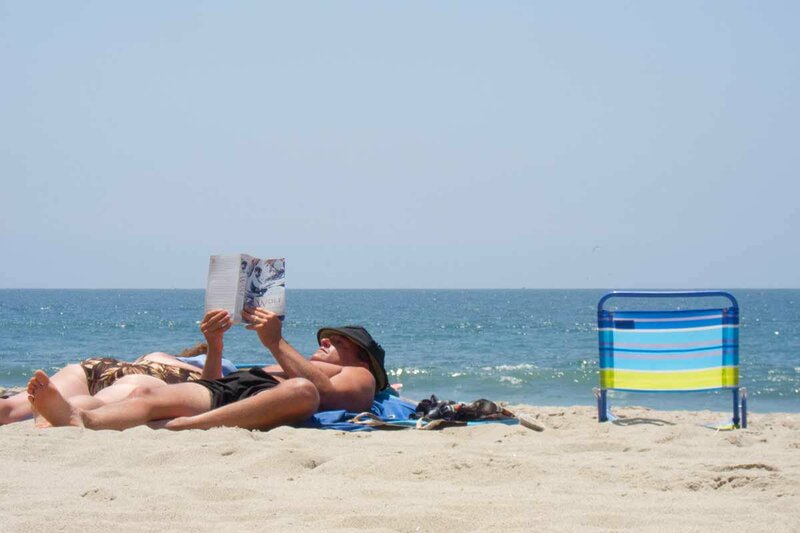 Surfers and sunbathing starlets make the perfect backdrop for reading Tapping the Source, by Kem Nunn, the National Book Award finalist that inspired the movie Point Break. Seaside seating at Paradise Cove in Malibu. Photo by Kent Kanouse / Flickr. The Chateau has always beckoned highly successful artists on the brink of self-destruction, and writers are no exception. 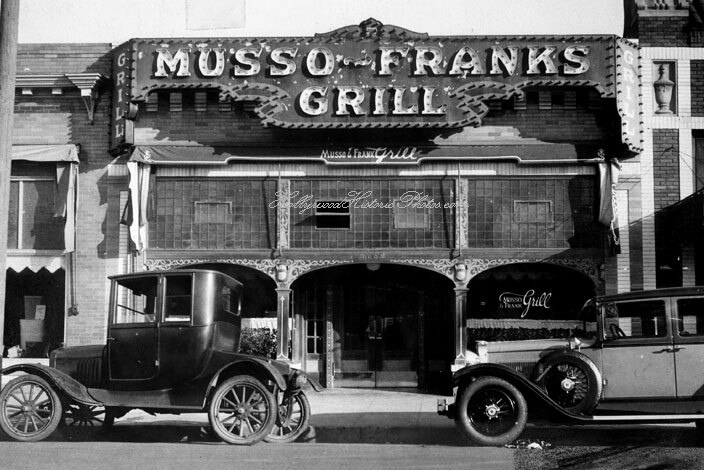 Rumor has it that Nathanael West wrote the iconic Hollywood tale The Day of the Locust here. 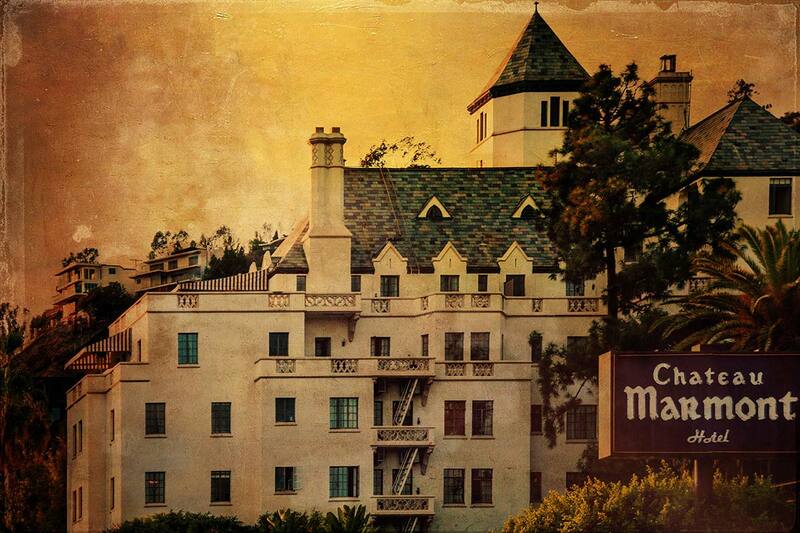 A.M. Holmes checked in to write Los Angeles: People, Places, and the Castle on the Hill, based on a stint living here. Jay McInerney stayed here while he adapted his literary sensation Bright Lights, Big City for the screen. Dorothy Parker and Hunter S. Thompson both wrote here — and likely drank even more. Algonquin Round Table wit Robert Benchley, who was terrified of driving, would routinely call a cab from the Chateau to deliver him home after a drunken night. He lived directly across the street. A mecca for self-destructive creatives. Photo by Mark Fugarino / Flickr. An amusingly kitchsy nautical-themed saloon. JFK drank here, as did brother Bobby and rival Nixon. But why? Because it was and still is right next to the offices of the Los Angeles Times. And no literary tour of Los Angeles would be complete without those ink-stained wretches. Though it has gentrified (slightly) and now features up-and-coming punk bands (occasionally), Redwood is one of the few old-school literary bars left standing in a sea of Downtown hipsterism. Rare Bird Lit publisher and book PR impresario Tyson Cornell comes here as much for the link with history as for the fact that his publishing office is a short walk away. Many Angelenos simply go for a drive to think, as did Joan Didion's character in Play It As It Lays, but there are also many quiet places for reflecting and writing that don't involve movement. Open air at Griffith Observatory. Photo by Matt Johnson / Flickr.